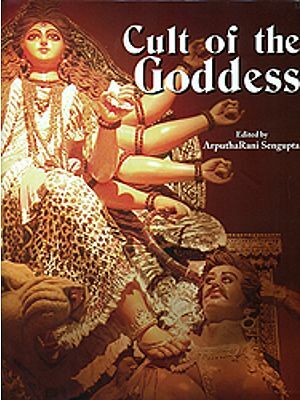 In this work while discussing peculiar Sakti Iconography of Mahavidyas I have tried to establish that the Mahavidya philosophy is neither dvaita nor advaita but rather dvaita-dvaita vivarjita. The reality is neither Siva (like Purusa concept of Sankhya) nor Sakti (like Prakrti but Sivasaktyayuktah where sakti as power is not different from Siva the power holder. Even the icons of Kali, Tara and Chinnamasta show the sakti standing aroused by its iccha kriya and jnana sakti responsible for creation. Creation is not her Prapanca of Samkara as a flux but the reality in another form because Sakti is Visvarupini. So according to the Mahavidya tantra universe in not devoid of reality. It is also reality as the form of the supreme who is not only formless but beyond form and formlessness. Reality is not only formless but also of form as other wise. Its all pervasiveness vibhutva would be falsified. Supreme is not only vidya but also includes avidya and is therefore Mahavidya. Maya of Samkara though not a reality is treates as anirvacaniya unspeakable but eternally existing or in other words a diminutive form of reality and this has not satisfactorily been explained form of reality and this has not satisfactorily been explained by Sankara’s advaita. But according to Mahavidya tantra maya is not a separate entity it is the veiling power of Supreme Consciousness and is adopted at will and therefore Sakti is Mahamaya. She is ever existence sat consciousness cit and bliss Ananda in otherwords Saccidanandarupini. Even her universe form is not destroyed but only withdrawn to issues a fresh at the end of dissolution and she is therefore srstisthitisamharini Mahakalasvarupini. She creates maintains and destroys. She is beyond all time and eternal all pervasive. Her ten forms cover all the ten quarters. When formless she is only consciousness power and as nama-rupa she is maya Sakti. Her nana arises out of her aksara tattva. As all aksara is eternal sabda she is sabdabrahmasvaripini. Since sabda is in essence dhvani. She is the primal dhvani known as nada. This is casual stress self produced and therefore not created and considered to be matrka or body of the mother almighty. Dhvani in its essence or para form is in the stage of susupti and is therefore having no from but before it is produced as effect it assumes a Ghanibhuta bindu form of pasyanti and then the madhyama form having assumed sabda and artha in a subtle form and is otherwise called anahta which is always present in the heart of all beings which a yogi alone can recognize. The last stage of this paranada is the uttered speech of all beings which is also stored in the vast clectromagnetic disc known as vyoma to be caught by scientific apparatus of a receiving station specifically designed for it. I have discussed here how reality is form and formless like sabda which in sphota sage formless but while depicting a nama is having a form. The world is reality as nama rupa of the ultimate consciousness. How the all knower magna mator assumes the diminutive form of litter knower due to veiling process of maya sakti has been very clearly elucidated here. Thus Mahavidyas depict different ways of sadhana or worship including the much debated abhicara sadhana by means of pancamakara or offering of meat, fish, cerials, wine, and coition. Of course there are arguments to prove that these are not ordinary offerings of mamsa etc but admitting a different yogic interpretation like madya to be considered as the juice that oozes from the saashrara cakra at the time of kundalini yoga the latter issuing forth from muladhara the first plexus at the bottom of the spinal cord and reaching the sahasrara at the Samadhi stage and realized in kheoari mudra as described in detail in the satcakranirupana edited by sir John woodrofle as the serpent power. But after all this is not philosophy but philosophisation and hence I have willfully omitted it from this discussion. Similarly the methods of Mahavidya worship and their psychological significance are beyond the scope of this discussion. I have therefore confined myself to delineating the philosophical essence of Mahavidyas in the background of Indian philosophy including their iconographical peculiarities throwing particular light on the thirty six categories of tantra against twenty five categories of samkhya. The portant categories are known as Siva, Sakti, Siva-Sakti, Isvara and Sadasiva otherwise known as the pañca-pretas forming. seat of Mahavidya Tripurasundari, or Sodas, the Reality in form. 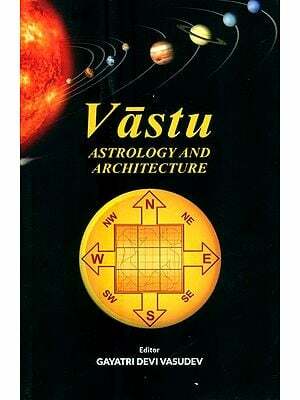 The Reality as Siva-Sakti, its characteristic as Consciousness-Power has been critically examined vis-a-vis the world. Basis of creation is a stir of iccha kriya and jnana-sakti in the supreme Consciousness and the involution as the reverse process of realizing it, forms the logic behind Mahavidya worship. Mahavidyas are ten in number. The first Mahavidya Mahakali symbolizes the supreme Icchasakti that stirs as unmana in the ultimate consciousness before creation. The second Mahavidya Maha Nilasarasvati alias ugratara represents Kriyasakti of the supreme consciousness and sodasi Maha Tripurasundari is the jnanasakti. In absence of these three Saktis the cosmic ideation is not possible and to preserve and conserve this cosmos the Mahavidya powers of Bhubanesvari, Kamalatmika and matangini are wielded. While bhubanesvari si the chief in management of the universe. Kamalatmika is the sustaining power conserving the creation. And individual as well as society certainly requires discipline and administration by an authority and Raja Matangini represents this authority and Raja Matangini represents this authority to maintain cosmos hindering chaos to ascend on the universal management. Since universe is a composite process of creation preservation and destruction Tripura Bhairavi represents the power of destruction alongwith Dhumavati who represents withering power of old age leading to death. Besides cosmic ideation seeks the help of Maya to be little jiva by latter’s veiling power and even then leaving a spark to cling towards its origin provided Jiva sheds its ego consciousness. This involutionary tendency is represented by Chhinna masta the Mahavidya having the head cut off and held in hand drinking its own blood oozing out from her beheaded body. 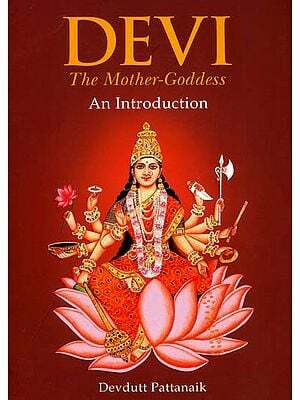 And the ego consciousness that stands as a bar to involutionary progress is the basis of all opposition and differences powers of which are represented by Devi Vagalamukhi described as Satrsanghavidarini.